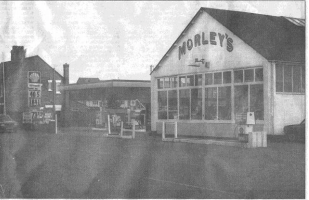 The site had been used as a petrol station from the 1920’s through to the late 1990’s and more recently as a car showroom with associated garages / workshops (see Figure 1 showing historical photograph). The site area is 0.39 Ha. Site investigation work confirmed the presence of significant hydrocarbon contamination consistent with previous site usage as a petrol station and garage. The identified contaminants of concern were predominantly Total Petroleum Hydrocarbons (TPH) and BTEX. Site investigation reports also indicated the presence of three underground storage tanks. The client had planning permission to develop the site for residential end use (predominantly social housing units). A number of remediation options were considered and precluded on the basis of cost and / or inability to achieve site remediation within the required timeframes. Working closely with Chalcroft, the Kings Lynn and West Norfolk Borough Council and the Environment Agency, Envirotreat developed a remediation strategy which was commercially viable and compliant with designated human health and environmental remediation criteria. Previous site investigations had identified site end users and groundwater / surface waters (i.e. the Rivers Nar and Ouse) as potential receptors.